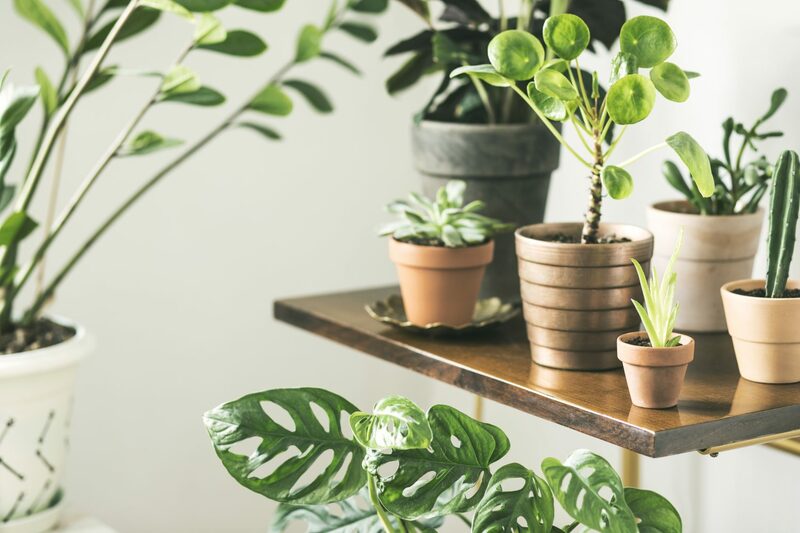 Houseplants are such a popular addition to homes these days, but it is also important to be mindful that maybe not everyone in your household knows not to nibble on the plants! 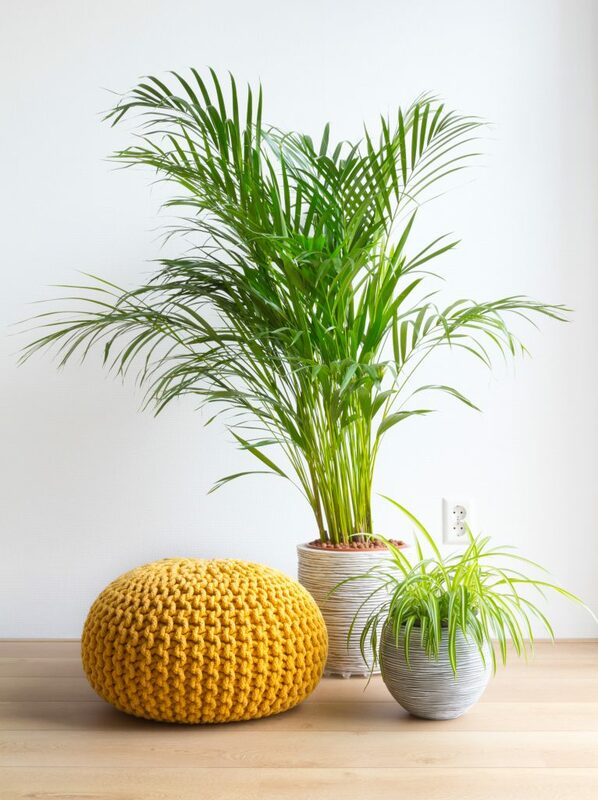 We’ve put together this list and some tips on growing 10 houseplants which are safe to have around both children and pets. Native to rainforest regions, Parlour Palms thrive in low light and shaded areas of the home. They are also okay in bright filtered light but do not place in direct sunlight. These humidity loving palms, should have their soil kept evenly moist and can be watered freely during their growing season, however reduce the frequency of watering during winter. Brown leaf tips are a common problem with Parlour Palm and are usually indicative of excessive soil watering or a lack of humidity. African Violets grow well in low humidity and moderate temperature of most home and office environments. With good care, African Violet plants can live and bloom for decades. Pop your pot in a bright position, they need the light to flower. Alternatively, they can also be grown under fluorescent light. African Violets love well-drained soil, and when watering take care to use room-temperature water and do not get water on the leaves, as that can cause leaf spotting. Spider plants look fantastic in plants or hanging baskets. They love positions in both low and bright indirect light, but can also be grown outdoors in dappled shade. Spider plants are making a popularity come back thanks to their variegated foliage and easy care. 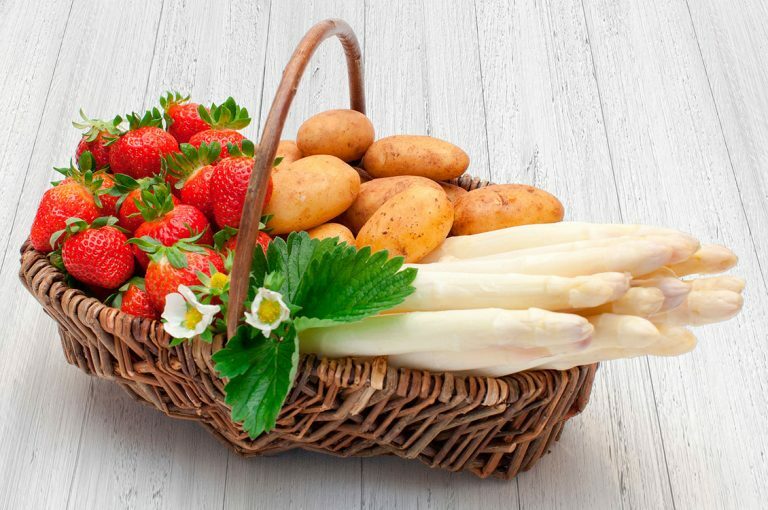 Keep their roots moist with a quick dunk in a tub of water monthly. Boston Fern prefers slightly humid conditions, but in a cool and well-lit spot away from direct sunlight. Once in the right conditions, they will grow happily all year long. Give your Boston Fern a good soaking in a tub once a month, but ensure you don’t overwater between soakings by testing the soil with your finger. If it feels dry, give it some water. Coleus is surprisingly a member of the mint family, and is almost exclusively grown for its colourful foliage. Perfect in bright light, but avoiding the midday sun. Too much sun will result in the colour from the leaves being ‘washed out’. The soil should be kept continuously moist. Coleus can be propagated from both seed or cutting; cuttings will be identical to the parent plant, however seeds will be variable. Begonia’s love bright, indirect lights and plenty of humidity. 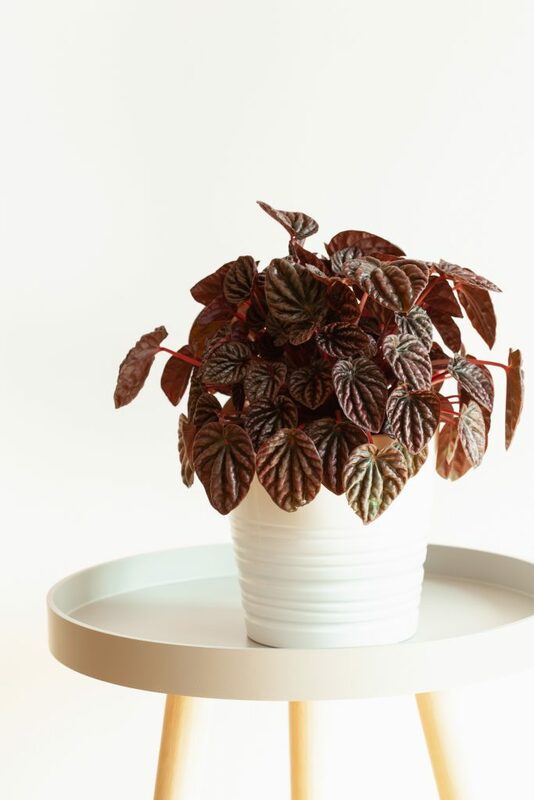 When watering, it’s important not to let the water get to the leaves to avoid the development of any fungal diseases, as otherwise begonia’s are naturally pest resistant so shouldn’t have any issues. If the air in your house is dry, a good idea is to set your begonia on a plant saucer filled with some pebbles and water. This allows your begonia to get the humidity needed indoors without water logging the soil or exposing the leaves to excess moisture that could cause disease. The Emerald Ripple Peperomia makes for a fantastic house plant, you could use it was a centrepiece on a table, or place it on a window sill. They love warm protected positions in tropical or subtropical climates. 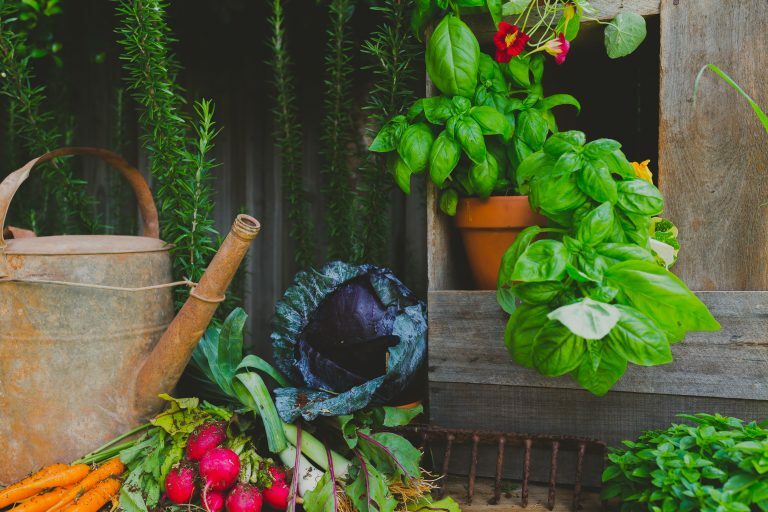 Allow the top 50% of the soil in the pot to dry out before watering again. Over-watering will cause yellow leaves and soggy stems. Originating from the forests of Brazil, they love a humid environment. The prayer plant can be rather tolerant of low light conditions, but they do best in bright but indirect sunlight. With a preference for well-drained soil, the prayer plant requires high humidity to really thrive. Prayer plant houseplants should be kept moist, but not soggy. Give them a feed every two weeks, from spring to autumn with a good quality all-purpose fertilizer. Cast Iron Plants will thrive on neglect and still manage to look good year-round. They grow extremely well indoors, or can also be planted outside in a dry and shady spot. If keeping them indoors, sit them in a cool but well lit position away from any direct sunlight. They need very minimal watering and don’t like to be kept in soil which is too moist. Commonly knowns simply as Zygos, these plants are popular due to their winter blooming initiated by longer winter nights. Zygos’ do well in pots and hanging baskets and love good drainage, dappled sunlight and very minimal fertiliser. They can be grown as houseplants, but it is important to remember that they need that winter darkness to actually flower. 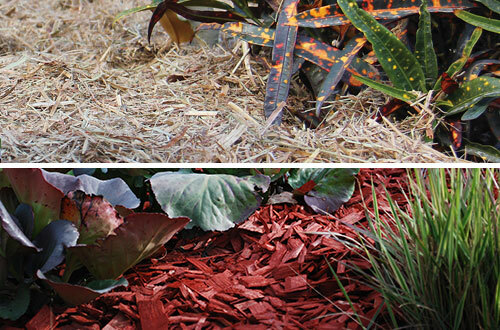 Rocky Point have a range of potting mixes ideal for you indoor gardens! You can view the full range here.